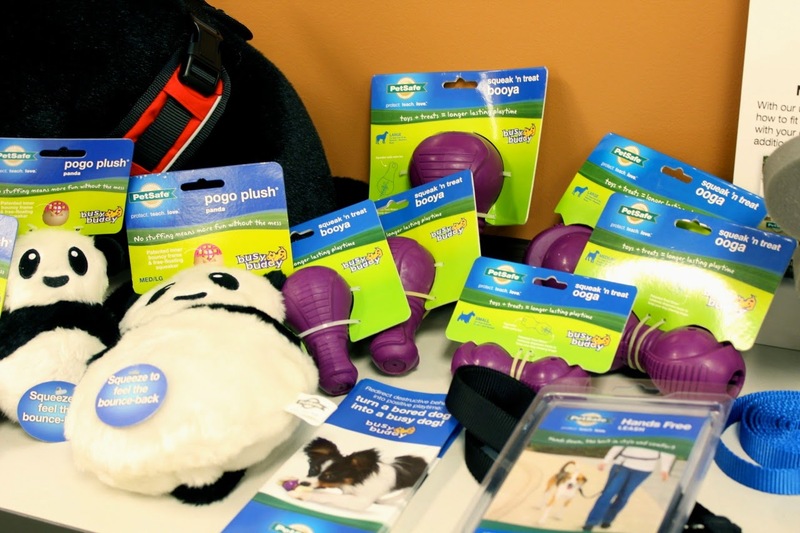 This week we've been in Knoxville, Tenn., at the PetSafe Blogger Summit where we've seen lots of cool things including some fun, interactive toys for plenty of FitDog fun! We spent the day yesterday at PetSafe headquarters, learning about everything from fountains and dog doors to toys, treats and more. We also got the chance to tour the University of Tennessee Veterinary School where we met with Behavior and Integrative Medicine specialists and toured the Rehab and Sport Medicine areas and Equine Center. 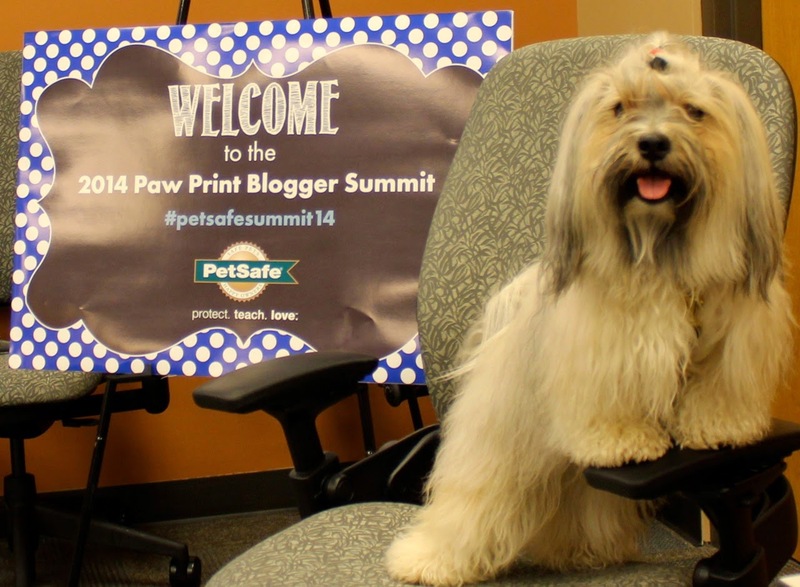 Our trip continues tomorrow, so we'll have more to report in future posts, but for today we'll give you a quick sneak peak at what some of Rocco's pals were doing today while the humans were busy learning about PetSafe's products and innovation. 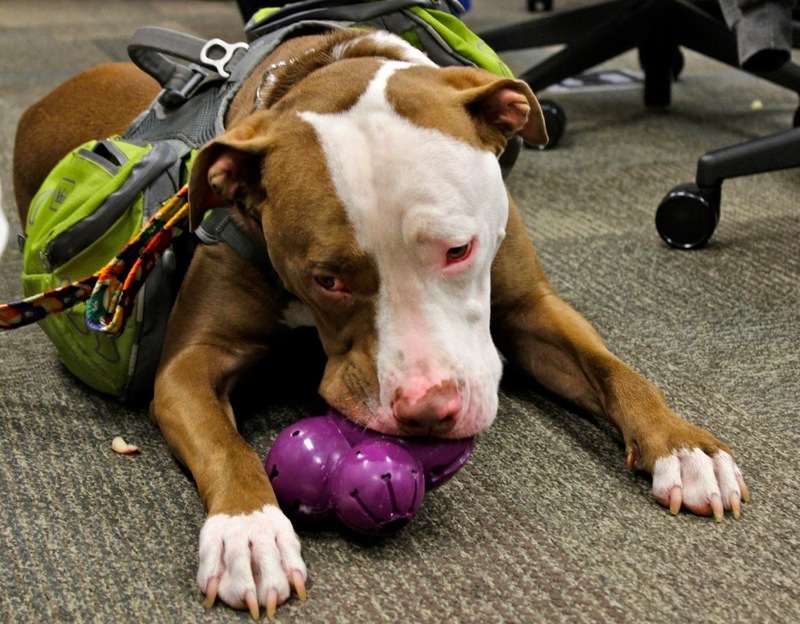 The Busy Buddy toys were a big hit, including new Pogo Plush and Squeak 'n Treat toys. Rocco enjoyed some Busy Buddy fun. And then shared his toy with Jake from Hiking With Fido. 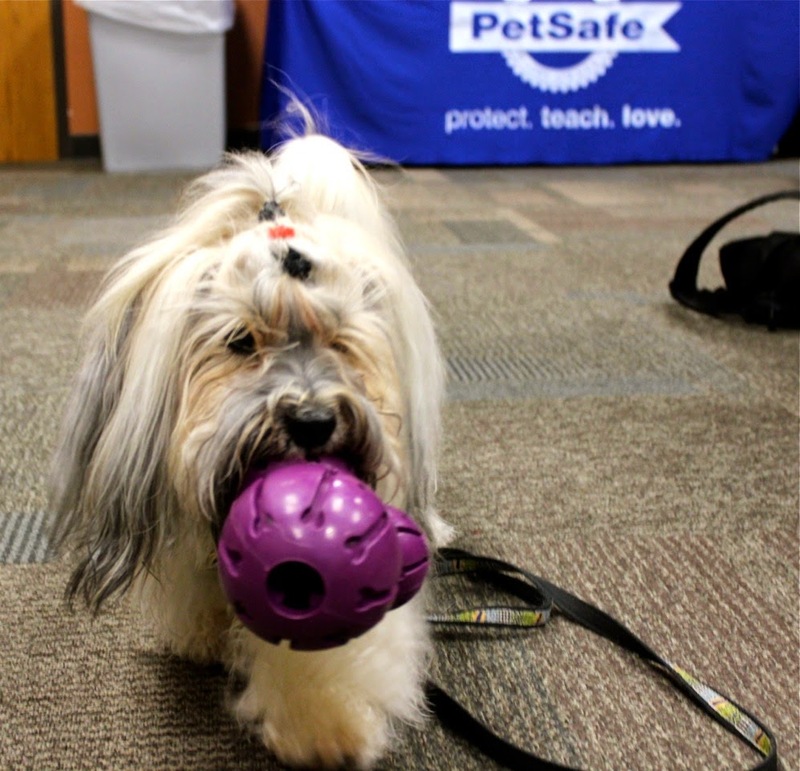 PetSafe's campus is pet friendly so it was a lot of fun to be able to bring our pets with us! 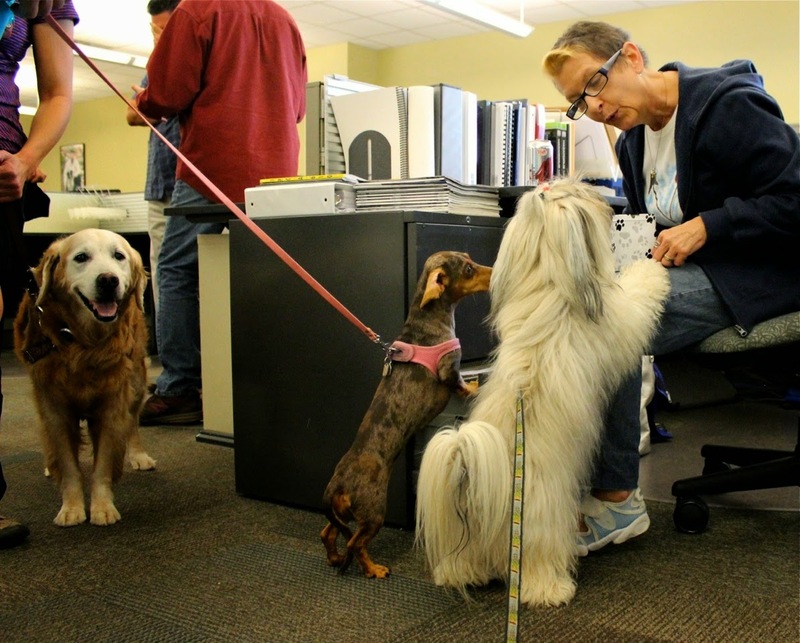 During a tour of the PetSafe campus, Rocco and Gretel from You Did What With Your Wiener found a nice employee who was happy to share her treats with them while Sugar from Golden Woofs looks on. 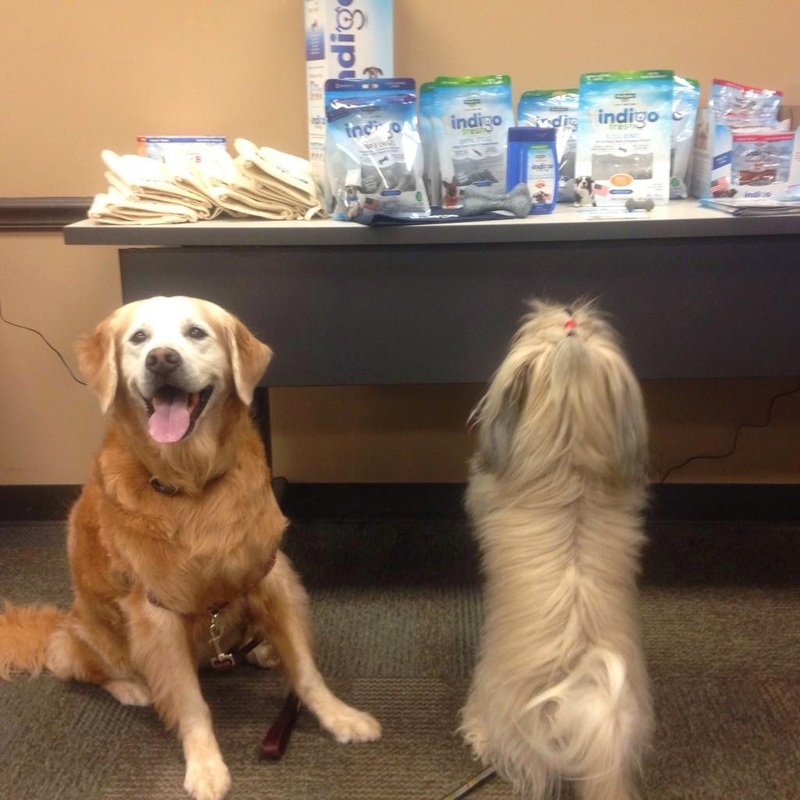 Speaking of treats, Rocco and Sugar were obsessed with the Indigo treat table! Rocco was maybe a bit more obsessed than Sugar… ha! We love lots of these PetSafe products for both active play and mental stimulation and we'll bring you more about these soon… maybe even another fun giveaway! And, don't forget Rocco's Big Birthday Bash Giveaway! You can still enter to win more than $500 in prizes including lots of our favorite PetSafe products! We have a couple of those Busy Body toys...we love 'em. Have a good trip! What a great experience! We always think of the PetSafe dental chews that are blue because they create such blue poo! Not sure if they want that to be a first thought of their product, but for us it is. Enjoy, and guard those treats, Rocco! PetSafe seems like a fun place. That treat table sure does look inviting! Hopefully everyone got samples after being such well behaved dogs while in the office. That looks like such a great experience....for both you and Rocco! I recognize so many dogs in those photos! Looks like you had a good time.